In the face of crisis and tragedy, some people rise to the challenge while others crumble. Some people choose suffering while others rise above it, heal through it, and find themselves of service if not by action, through intention, energy, and will. The difference between them lies within their thoughts and beliefs, as well as, their willingness and ability to break through intrinsic reactions and indoctrination. 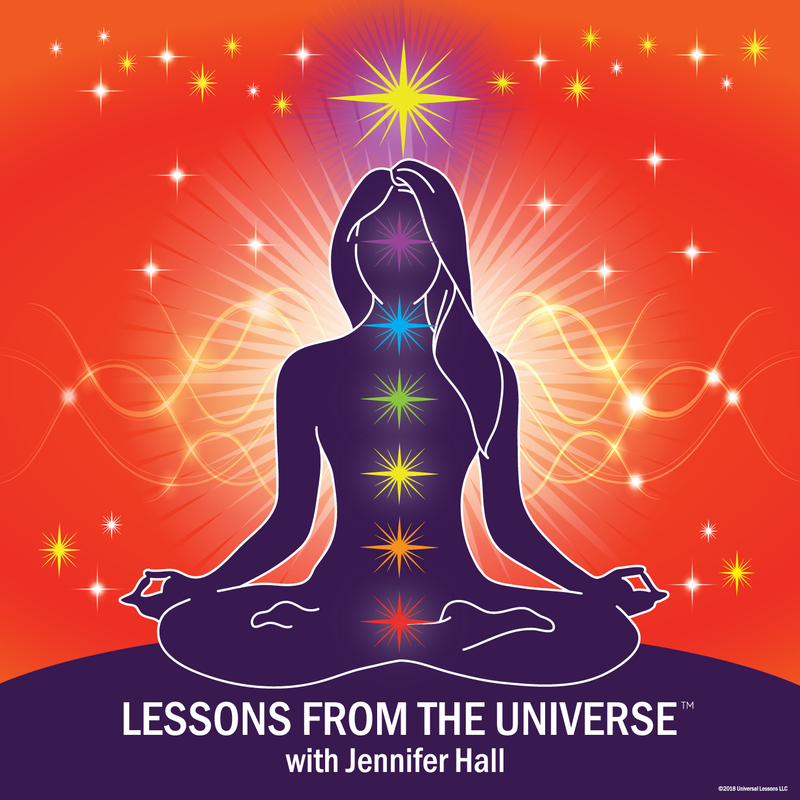 In Episode 34, Jennifer shares her 911 story and a lesson of empowerment through tragedy. For those on the path to awakening, connecting to those off the path can be a challenge. Whether it’s at work, dealing with the PTA, or simply interacting in a satisfying way with friends and family, connection can feel forced or shallow. Questions I hear every day include… How do I communicate and connect with people? How do we function on this human plane when other are expelling negativity or discussing things we intrinsically disagree with or prefer not to discuss? How do I maintain or create boundaries when I feel pressured? How do I say no without guilt or regret? How do I create and maintain satisfying friendships? In Lesson 33, we discuss shifts in perception, specific interacts, and navigating human experience along a spiritual path. This is not a debate of creationism verses evolution, this is a lesson in manifestation and AWAKENING. The seven stages of the creative process are all about internal growth and realization, as well as, both universal and material manifestation. It is a guide, a map, we can all follow in which we are inspired, motivated, and guided to our highest selves and greatest lives. A lot of people think that sad is a negative thing, that it’s a loss, that it can own us somehow, but sad can’t own you. In spirit, in truth, it’s not “sad”, it is RELEASE. If it’s situational or circumstantial, it’s the release of pint up emotions, of the fear, anger, and intuition that warned us in advance. If it’s death, it’s the release of the need to hug her, to hold his hands, to see their faces or hear their words. Release may have the outward appearance of pain and loss and heartbreak, but it is so much more. It is love, it is gratitude, and it is freedom. Release may bring tears, but it is not out of loss or fear. It is out of gratitude for the blessings, the joys, and the education of this often bittersweet life. In Episode 31, Jennifer shares a bittersweet moment in her own life, and perhaps you’ll shed a tear together. Just remember, the happy things are the reasons why she cries. Spacious awareness is training the brain to have faith in Highest Good. It is overriding the caveman brain that causes us to react, so we can truly witness and understand what is going on around us and how we actually feel about it. It allows us to observe without being drawn in. It’s not denial, blindness, or ignorance. It is existing within a space that allows us to be present within any action, reaction, or experience so that we can respond with clarity. The brain wants to jump and scream and fight, to lust, to take the easy way, or to retreat, but our brain is also a sweet child who wants to learn. It wants limits and boundaries. It wants information and answers to the what ifs. It wants to learn, and it can be retrained. In Episode 30, we strive to understand, embrace, and cultivate this deep, healing freedom, so we can truly embrace this life. After all, the true Freewill is CHOICE , and it is Spacious Awareness that gives us the space to choose. Denials and Affirmations are the most effective tools we can use to train our minds to see what is for us instead of what is not… to see what is light and joy and success for us individually and to recognize that those very things are different for different people. The outside world can bring our fears up into our faces. Some people are paralyzed by that, while others use it as motivation to work really hard and defy the fear. Motivation is great, but the reality is we must first deny the very seed of doubt. We must claim, “That’s not for me” and THEN affirm, validate, and strive for the truth. Anything less is a distraction from fear leaving the seed just below the surface to fester and grow. Episode 29 is a lesson in using outward influences like people, television, & social media to pin point the next area of focus for our ultimate evolution and enlightenment, to help each of us recognize that sometimes the only lesson to learn is that we must deny the old and affirm the new. Truth & Honesty are irreplaceable requirements along the path to awakening. The truth is sourced from love and ignites change, while lies are rooted in fear. It’s simple really… Lies deaden our connections, while truth ignites them. There may be pain, but it will never be as great as the harm caused by continued dishonesty. The choice to be truthful and honest effects every single person, experience, and aspect of our lives, but above all others, we must first & foremost be honest with ourselves. After all, if you can’t trust you, you’ll never trust anyone else. All paths exist on a continuum of truth. Each designed, in its purest sense, to get any given individual as close to the truth as he or she is capable of traveling. Many center around the belief in a largely, if not entirely, invisible force widely described as God…a concept that brings unity, fear, and alienation into the hearts and minds of people due to the misuse, abuse, and endless interpretations of the word. To some, God is a man out there prescribing both compassion and punishment. To others, those who see energy and potential instead of some anthropomorphic being, it is gross to limit that limitless possibility to some body. I say, the only ones who are inferior are the ones who believe they are superior. So let’s get into it… God, religion, atheism, all of it. Let’s be fearless, because the only dogma we really need is the one we can all agree on… BE EXCELLENT TO EACHOTHER. DO YOUR BEST. & DON’T BE D*CK. To forgive is to release yourself from negative mental, emotional, and spiritual side effects. It is not condoning, accepting, or validating anything other than your own path and progress. It is personal freedom. Forgiveness does not require confrontation. It is, in fact, the release of the need for confrontation, because to forgive is to untie yourself from the very people, places, and circumstances that caused you harm. Episode 26 is designed to set you free, not by magic, but by handing you the key to the cage and the skills to untie the very ropes that bind you. No one holds two ends of the rope. Drop your end. Untwist. Untie. Be free. Join me as we delve into what it truly means to FORGIVE.